This student cello is a sturdy and reliable instrument ideal for beginners and younger musicians. 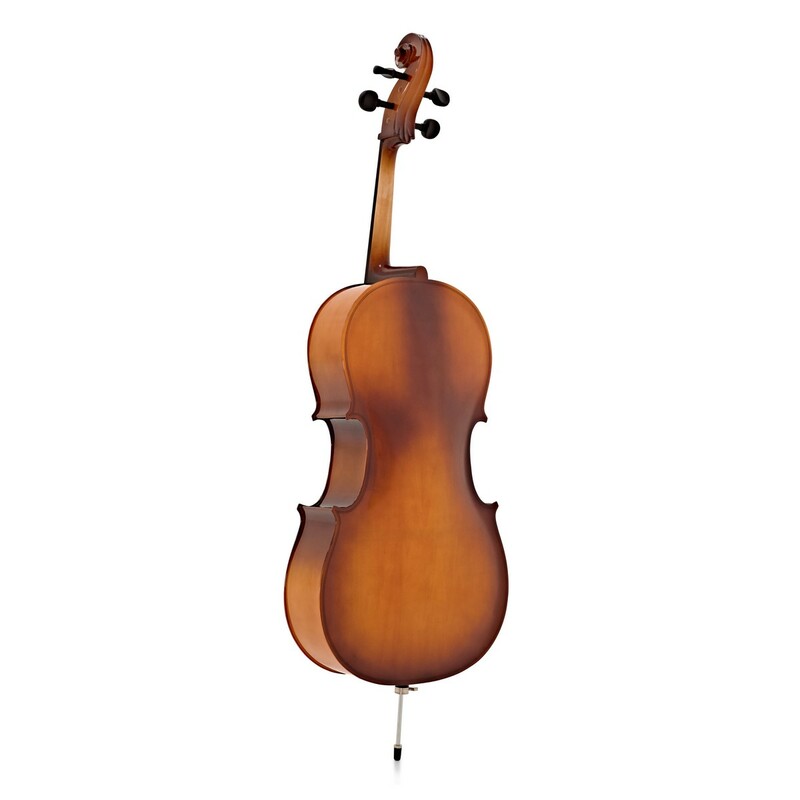 The body is made from an antique varnished, laminate Spruce top and Basswood back and sides, making it lightweight, tough and flexible. 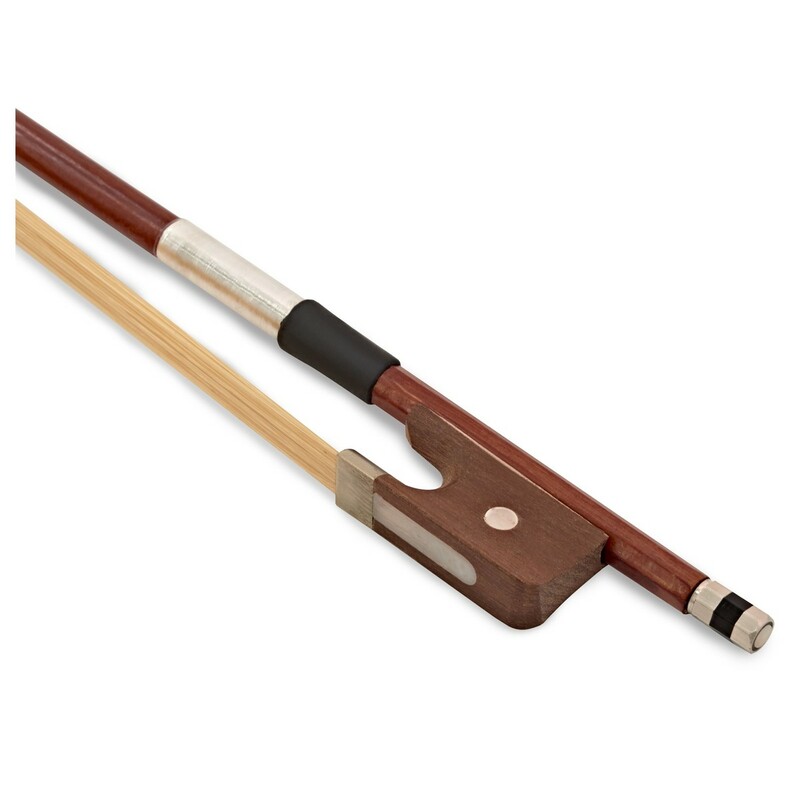 The inlaid purfling helps to protect against cracks forming at the edge of the instrument and allows the top to flex more freely. 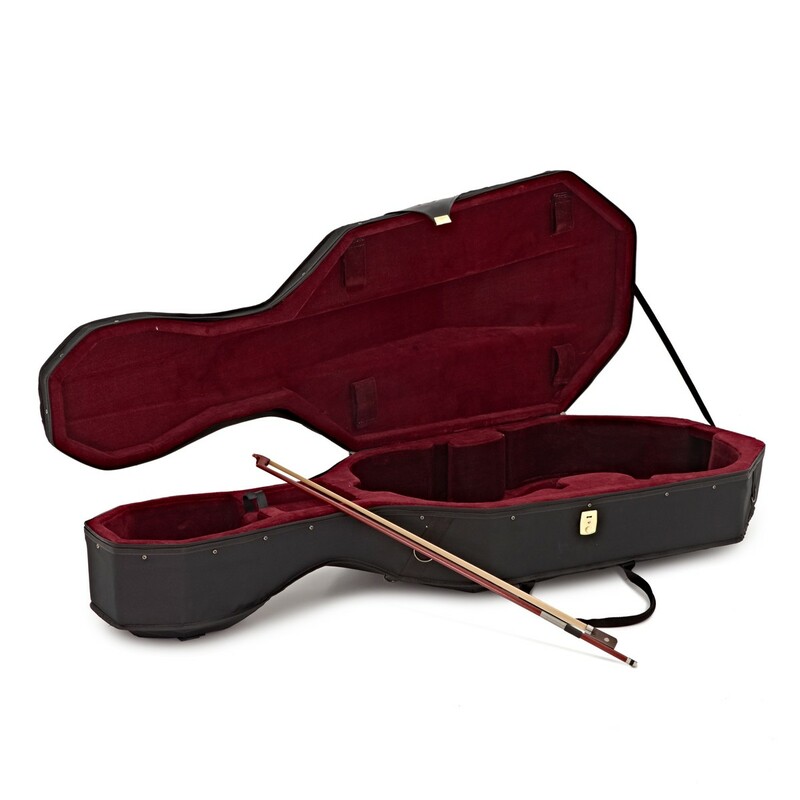 The Ebonized Hardwood fingerboard prevents the build-up of moisture and ensures a long lasting instrument. 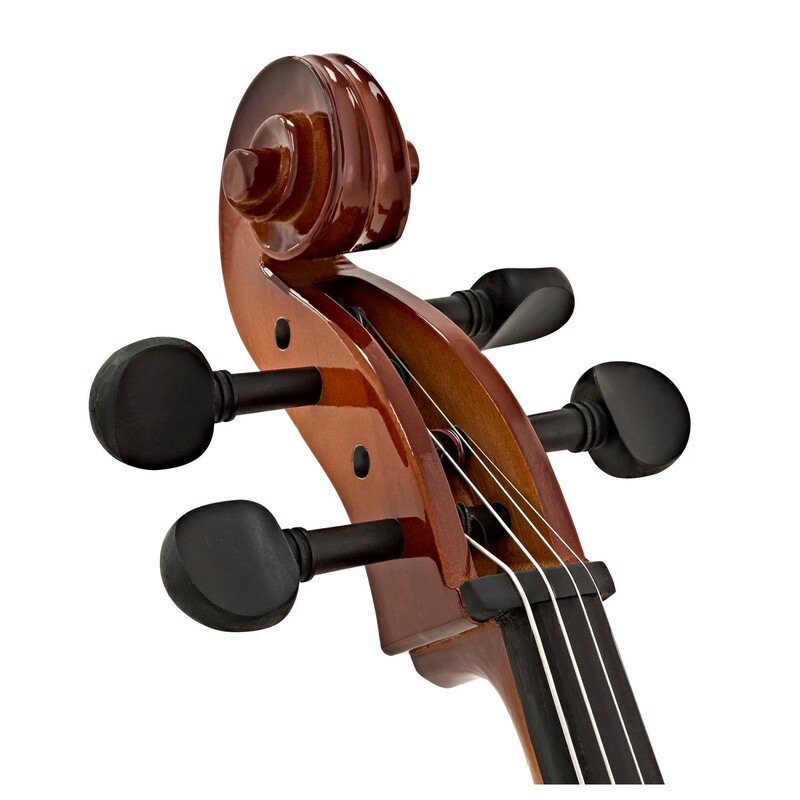 The solid Maple bridge and metal tailpiece are hard wearing and durable fittings. 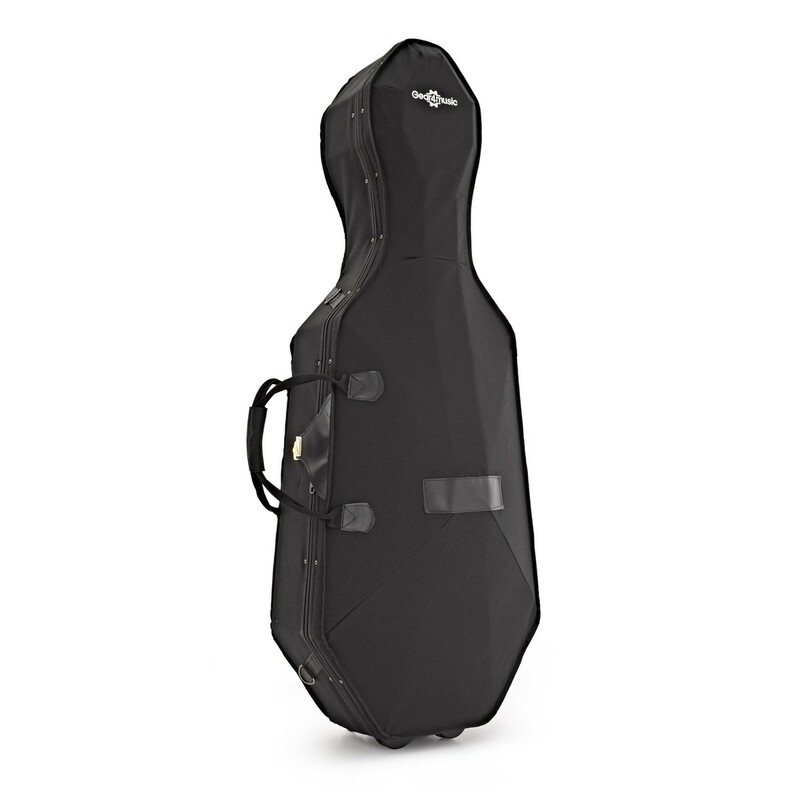 Easy to use, fine tuners on the tailpiece allow for simple and quick tuning. 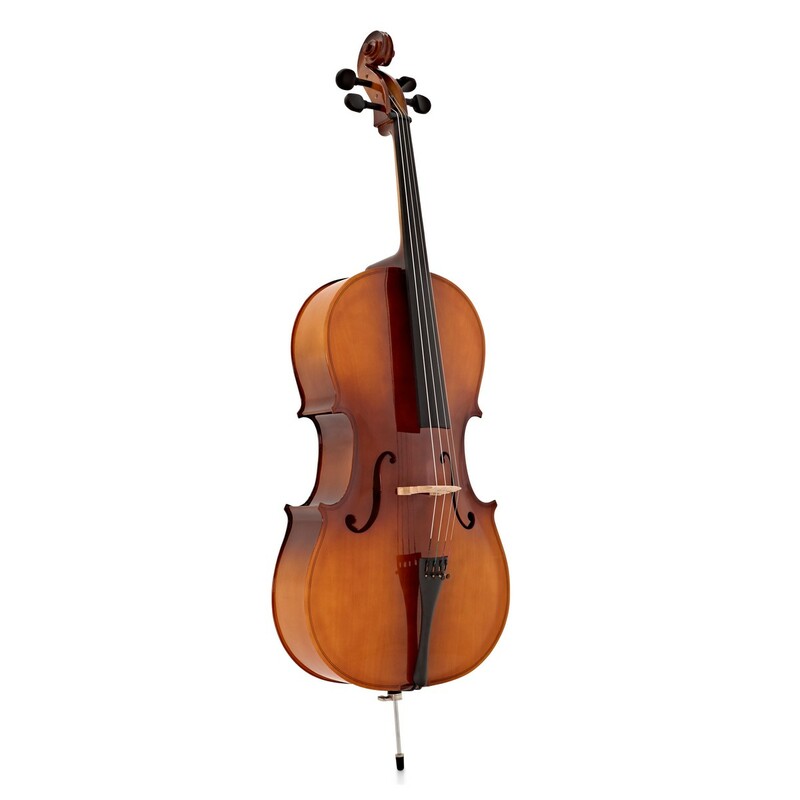 This cello produces a warm and even sound throughout the registers. 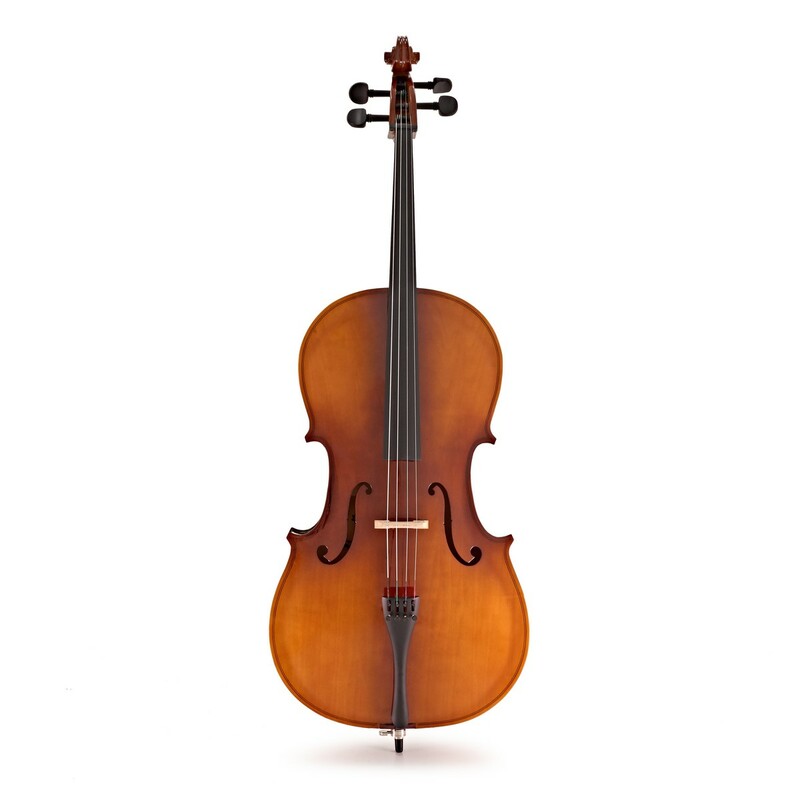 The steel core strings create a clear and crisp tone as the beginner develops proper playing technique. Each string has silk wrappings to help students identify the notes and to create friction against the tuning pegs. 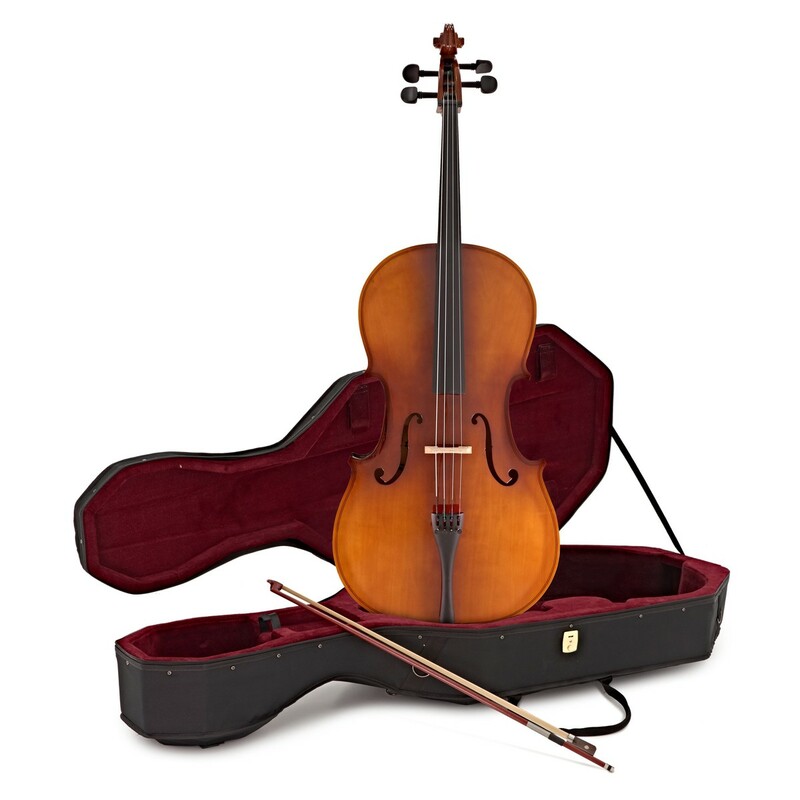 If you're just starting out or are simply looking for a more complete set-up, you may be interested in the Gear4music 4/4 Cello Beginner Pack, which comes with a number of additional extras including music stand, spare strings and cleaning kit. 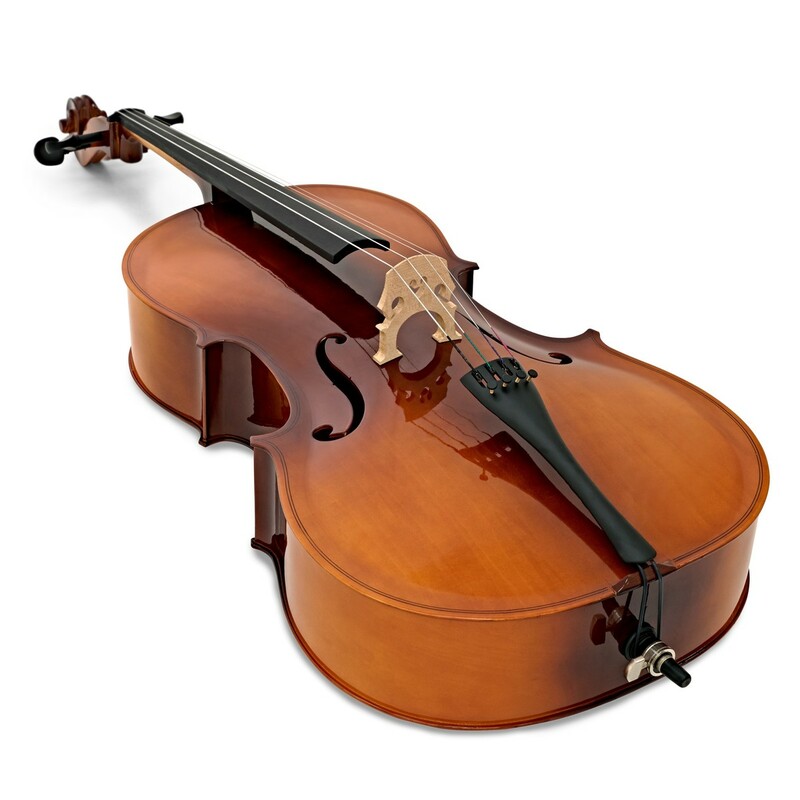 Please note - the video on this page depicts the Student 4/4 Size Cello with Case by Gear4music. 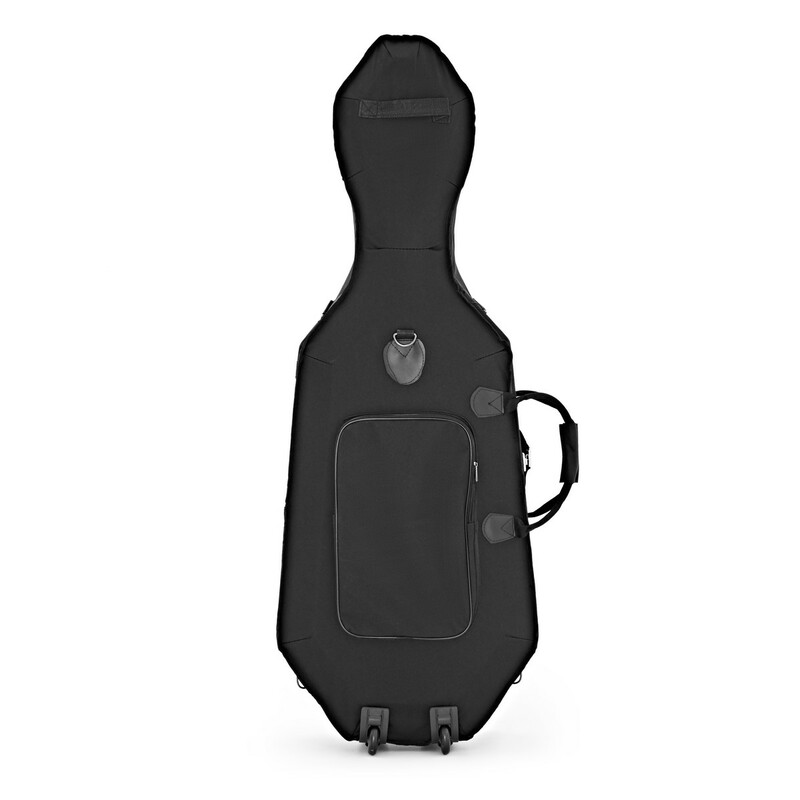 Apart from the finish all other specs are the same.